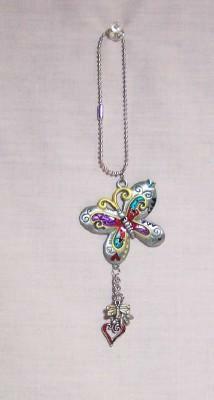 This colorful metal Butterfly has pretty wings decorated with purple, red, turquoise and gold. Little charms hang below and they are a flower, butterfly, and heart. You can hang it on your rear view mirror or anyplace you would like.